Travelers Add Tours - Sreemangal Lowacherra National Park, Madhabpur Lake and Baikka Beel Wetland from Sylhet. Sreemangal Lowacherra National Park, Madhabpur Lake and Baikka Beel Wetland from Sylhet. Private Tour: Sreemangal Day Tour of Lowacherra National Park, Madhabpur Lake and Baikka Beel Wetland from Sylhet. 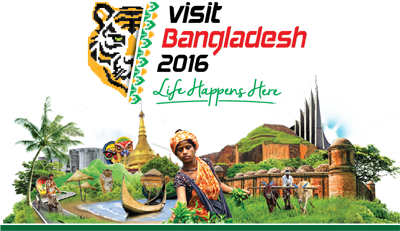 At 8am your guide will pick you up from your hotel in Sylhet and leave for Sreemangal. Your first visit will be Lowacherra National Park. Lawachara is the only rainforest in Bangladesh. In 1997 the Bangladesh government declared it a National Park. Biological diversity in the Lawachara National Park consists of 460 species, of which 167 species are plants, 4 amphibian species, 6 reptile species, 246 bird species and 20 mammal species. Different types of plants make the natural view of ‘Lawachara’ very thrilling and attractive. Then visit Khashia tribal village to learn about their life style, agriculture, weaving and betel leaf farming. Next, proceed to Madhabpur Lake. The lake is a great place at winter season cause all the migratory birds from cold countries get together in this lake and the scene becomes awesome. The lake was initially made due to the irrigation of the tea garden. The lake is surrounded with dotted hills. Have lunch at a local restaurant at your own expense start for Baikka Beel Wetland. Baikka Beel is a part of the Hail Haor, a vast wetland of almost 100 acres. Each year in winter, thousands of migratory birds fly from way north to make this wetland their home. The road that takes you to the Beel runs through scenic country side, typical rural area of Bangladesh. There is an observation tower at the Beel, you can climb the tower to watch birds. Don't forget to bring your binoculars if you are into wildlife/bird photography. Enjoy the beautiful sunset on a relaxing one-hour boat ride and then explore tracking 1 km trail to spot different species of birds. In the evening you will be dropped off at your Sreemangal or Sylhet hotel.